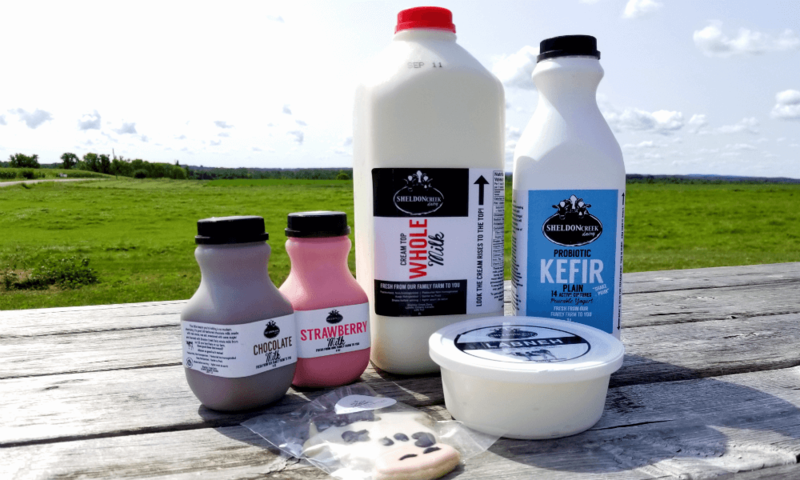 Sheldon Creek Dairy Farm - Travel, Shop, Cook, Have Fun! 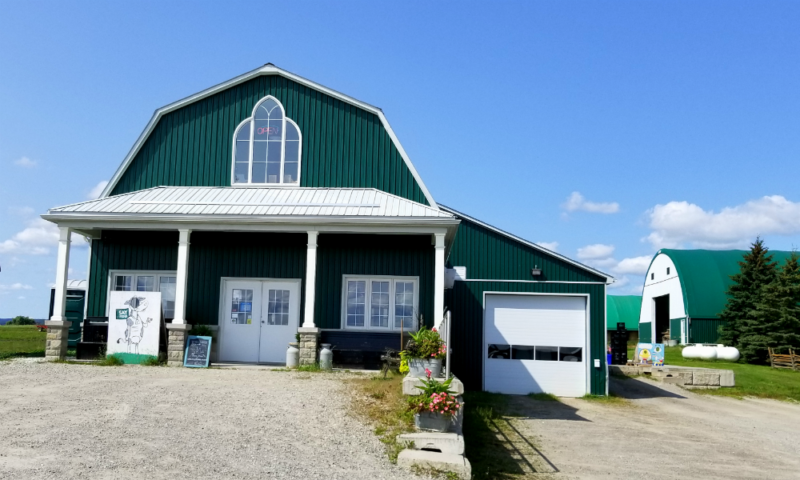 This dairy farm, located in Simcoe County, is owned and operated by the den Haan family. 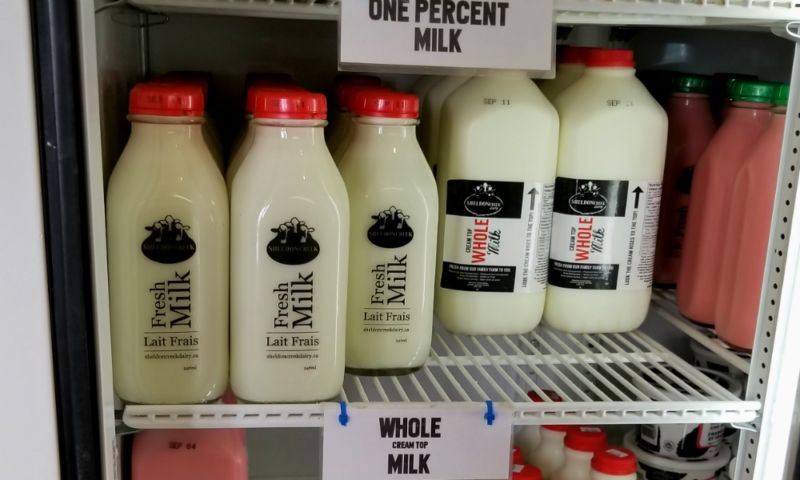 Sheldon Creek is one of the few farms which are, and have been for about sixty years, licensed to sell their own milk directly from their own farm. Their cows are pasture fed in the spring and summer and get fed alfalfa hay in the winter. All feed is grown right there on the farm. We stopped there last Saturday to buy their famous whole, non-homogenized milk which has a plug of cream on top. We ended also buying strawberry and chocolate milk, kefir and labneh. 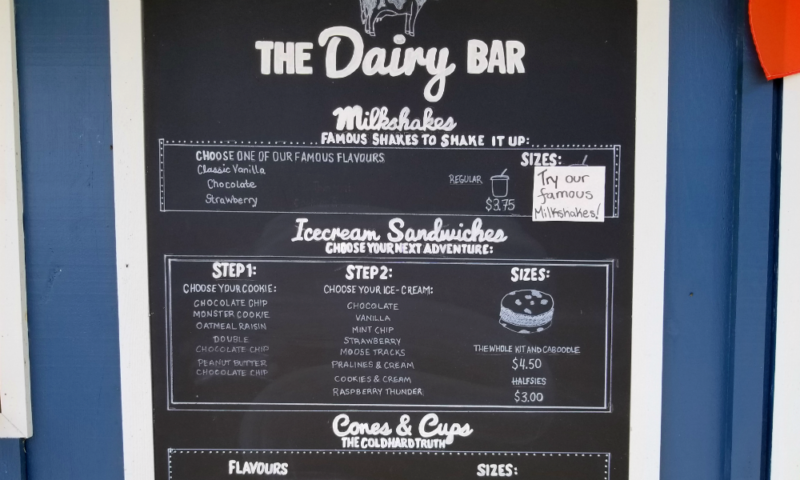 Then we decided to try a milkshake made with their own milk. And, let me tell you, that was the right thing to do on such hot day. The shake was so delicious and refreshing!